It’s been over a year since Slack emerged as the darling of the SaaS world. During this meteoric rise, the messaging app’s user onboarding experience earned praise and admiration of product people everywhere. 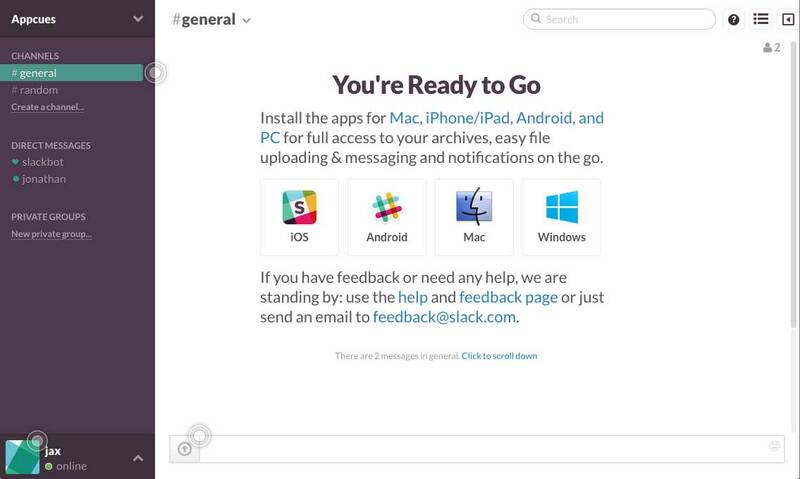 If you didn’t see Slack’s user onboarding experience in 2014, you can check out Samuel Hulick’s spot-on teardown from May 2014 here. 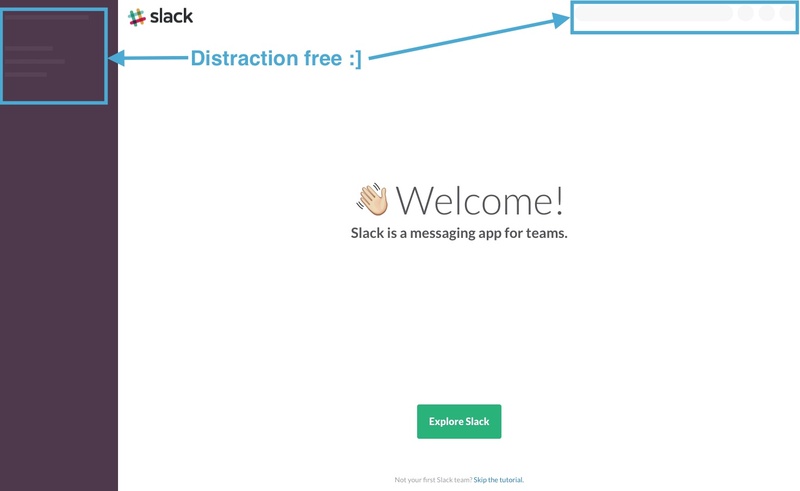 Reviewing this onboarding flow, it’s clear why Slack has managed to achieve such impressive growth. The new user experience clearly demonstrates the collaboration tool’s value proposition and swiftly gets users to take meaningful action. Both are critical in creating a user’s WOW moment. 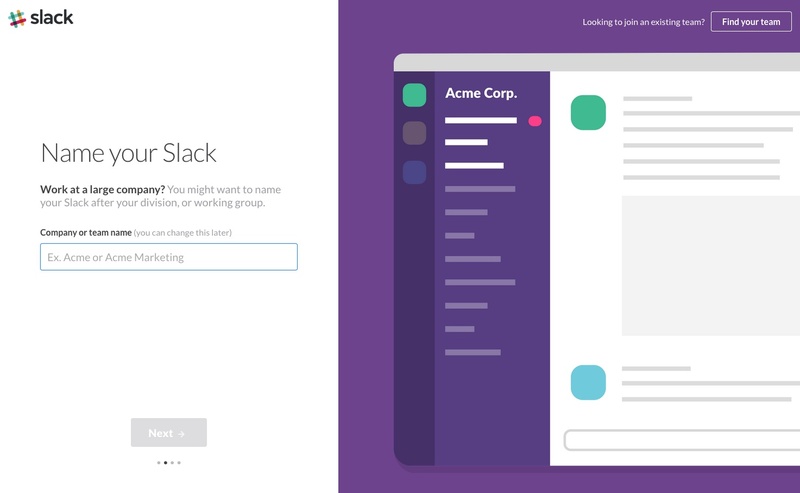 I recently revisited Slack’s onboarding and found that despite all the success and praise, Slack’s product folks didn’t stop there. They’ve continued iterating on user onboarding best practices for an improved flow. Here are five notable changes Slack has made since I originally signed up. Before a new user arrives at their Slack team’s chat room, they first go through a multi-step process to set their team name, URL, and username. On its old user onboarding flow, users went through this step-by-step process while 60% of the screen is made of an on-brand visual occupying otherwise dead space. 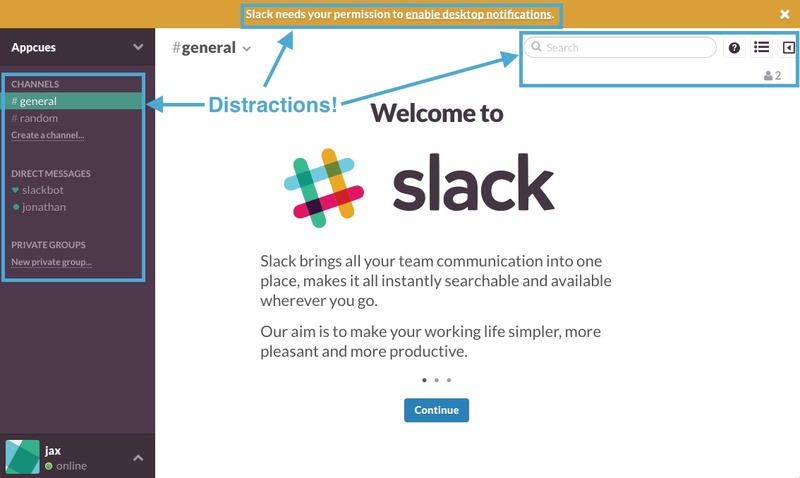 In the redesign, Slack replaced this visual with one of a more meaningful purpose. The image of the product with a sample company name users see how this decision will manifest later, thus allowing users to complete this step more thoughtfully. As humans we’re conditioned to avoid effortful processes. So when asking users to volunteer information (effort), it’s important not only to convey what information you’re asking for but also why you’re asking for it. This is commonly done with microcopy, and Slack has always been great at using microcopy to contextualize asks. But adding the visual gives a real glimpse of why. Yep, you’re seeing that right. 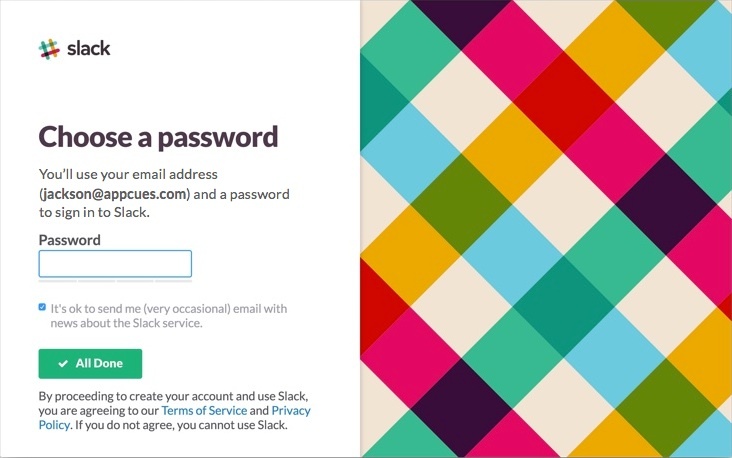 Slack no longer requires new users to create a password during their signup process. Instead, they send an email shortly after signing up notifying the user of the need to create a password. One of the core tenets of user onboarding is to remove all unnecessary friction that stands between a new user signing up and her WOW moment. 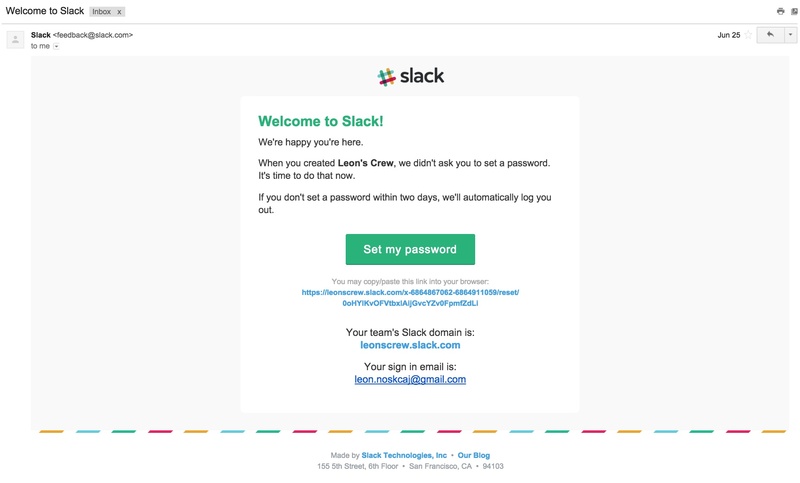 While passwords are certainly foundational and necessary for ongoing product usage, they aren’t necessary for a user to realize how Slack is going to improve one’s life in the next 10 minutes. 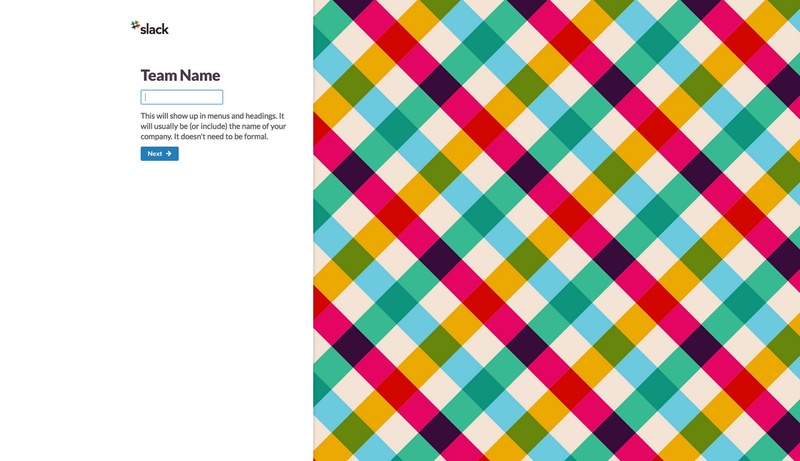 Note: Slack also killed another common culprit of unnecessary friction: the email confirmation step. Previously, a new user was met with three slides of text welcoming them to Slack and explaining how it works. In total, there were 123 words of text. In the redesigned onboarding, there is now one slide with 7 words. Hello simplicity. In copywriting, sometimes less is more. 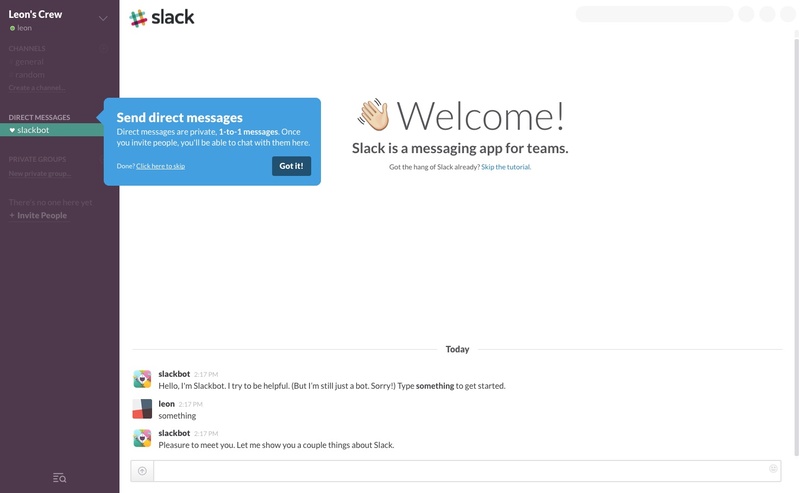 Sure, the value proposition of Slack brings all your team communication into one place… is important to convey. But it is far more impactful if a user realizes that herself through product usage rather than reading words on the screen. DO > SHOW > TELL. When previously arriving at the welcome screen in Slack’s application, the left hand navigation bar and the search field were already exposed. 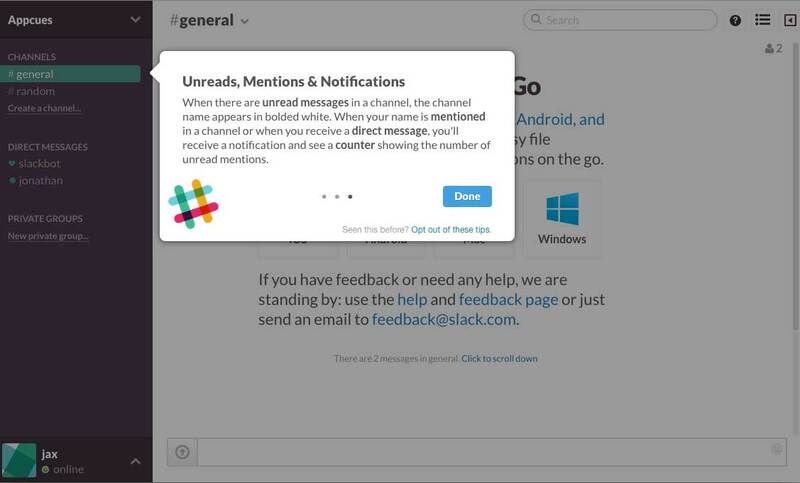 In addition, Slack already prompted you for desktop notification permissioning. In the updated onboarding experience, Slack replaced the channels and search field with visual representations and hold off on permissioning until a few steps later. The most engaging products keep new users very focused on the path to success. One important way of accomplishing this is to hide complexity and only introduce it when it is contextual to the user. Take the search field, for instance. How would a brand new user with no message history benefit from knowing about the search functionality of Slack? It could be far more compelling if it’s emphasized when the user can actually get value out of it. The result of hiding this complexity is a much cleaner, more focused flow. Slack previously used “hotspots” to introduce users to important UI elements. These hotspots would pulse until a user clicked on them, then disappear once the user had read the tip. In Slack’s new onboarding, they switched these user activated hotspots to the much more conventional sequential tooltips. These tips default in an open state, and don’t require the user to activate them on her own time. Both styles of guides have a right time and place. The hotspots from the old user onboarding experience are a nice way of providing users the contextual guidance they need in an unintrusive manner. They allow users to consume information when they are ready to rather than making it a prescriptive part of the experience. Their click rates, however, can be low. So when you have mission critical information that a user must know to be successful, sequential hotspots are the pattern of choice. After observing these changes, it’s clear that the folks behind Slack believe that user onboarding is an iterative process. It’s impossible to know the impact these tweaks have had without access to Slack’s user engagement stats. But my intuition tells me these refinements have improved engagement rates beyond an already high baseline. The experience seems much more focused and concise; so frictionless that Slack has given passwords the silent treatment. It gets users to take meaningful action even quicker than before. 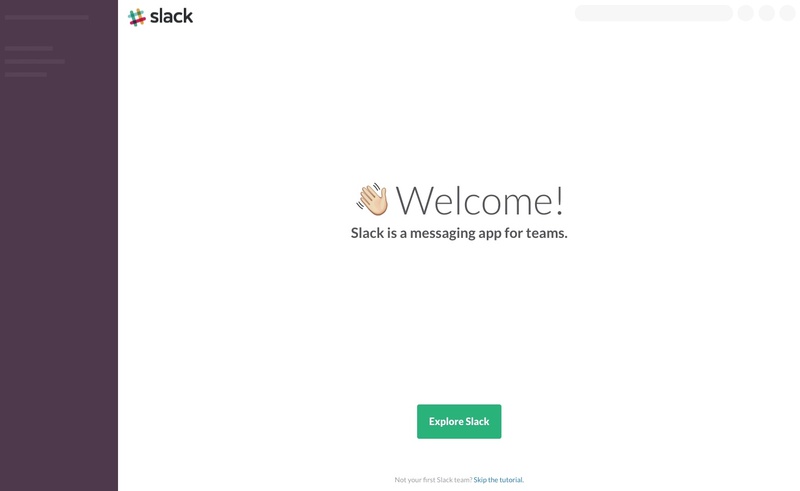 We now eagerly wait to see how Slack iterates on user onboarding best practices next. But in the meantime, which one of these changes can you apply to your product? Great user onboarding doesn't have to be complicated. To create an onboarding experience that engages and converts, you really just need to accomplish 3 things.